Life changes so quickly. Priorities can become fleeting memories depending on your circumstances. We are only three weeks into a new year and for this year and every year, I feel like my priorities are to simply spend as much time as humanly possible with those who mean the most to me. Is there really anything more? I want to be here to raise my son. I want to support my husband. I want to hang out with my parents, my siblings, my nieces and nephew. I want to make time for those friends who have stood by Reid and I throughout the difficult year we just faced. It looks like there could be significant difficulties in the year ahead as well. Hopefully a lot of joy as well. We are truly blessed to be surrounded by wonderful people, our families and close friends are truly so important to us. I have spent a lot of my life being busy. Busy with school and casual work and sports, piano lessons and church commitments. Then full-time work, conflicting work schedules to Reid, a full calendar of social engagements, some of which we should have said no to. 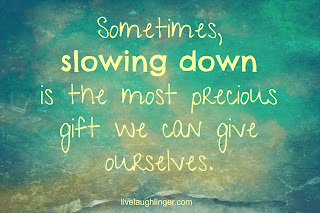 I am so wanting life to be more slow now, especially since having Isaac. Those moments where I can just sit and watch him flip through pages of a book, before rapidly crawling to pull apart some Lego, then push around his toy tractor or fire truck are honestly the most important to me. I have extended my maternity leave once again, this time planning to return in early July. I just feel like I need more time. I don't know if there will ever be enough time for me to really soak in the fact I am now enjoying motherhood. I don't know if there will ever be enough time for me to accept and move on from the guilt that surrounds me knowing I didn't enjoy it for such a large chunk of time. One of my biggest fears is Isaac growing up thinking he is at fault for any of the issues I have faced over the last eleven months. I have been very passionate about being public and honest about my parenting journey, my struggle with PND and the crippling anxiety. While it is all directly related to my traumatic labour and early days in hospital with Isaac, none of it is related to his existence. I can only ever do my best to make sure he knows how much he is loved. I will talk to him about it, I think that is important. I think honesty is one of the most integral things to have as part of the foundation for family life. Understandably, there are going to be things you don't share with your child when they are too young and perhaps not emotionally mature enough to deal with certain situations - but I fully intend to be honest with him when he asks questions about anything to do with life. I don't want to paint a false picture of a fairy tale world. I want him to know how lucky he is, I want to raise him to be grateful, to be unafraid to talk about things that are difficult, to be kind and thoughtful and to be understanding of other people's struggles. Reid and I have had so many discussions about our parenting goals lately - these goals have become our whole world. We have such an important job, raising a little person we created. Hopefully he will grow up and want his life to reflect our values as well as having the freedom to form his own opinions and feel able to discuss these things with us. The thought of teenage years is something I find really challenging. I know just from being a teenager myself how hard this period of time is and how much patience is required from those around you. It seems ridiculous to be talking about Isaac becoming a teenager before he is even one - but I know it will be here before I know it and I want to have at least thought about how I want to try to manage things. What kind of mother I might be when I have teenagers, not babies. A big part of having an anxiety disorder is worrying about the future - I think this is probably an inherent trait of all caring parents, regardless of any anxiety that could cloud it. As I watch Isaac grow, taking his first unassisted steps into Reid's arms two days ago and nearing his first birthday, I am just amazed at how quickly time is going and is going to continue to go. I look at my own parents, I'm their youngest child and will be 27 in just over two weeks time. They talk about how quickly time has gone. Their four children all with children of their own. There just doesn't seem to be enough time to really focus on the little things. There is so much chaos and devastation in the world, it's easy enough to just imagine it doesn't exist until things hit a bit close to home. But that's not OK. We should be aware of how lucky we are, how so many parents and their children are fighting on a daily basis just to survive. It's heart breaking and makes our issues seem so insignificant, but still they remain. I know everyone is different when it comes to how deeply they feel things. I feel things so incredibly deeply, my emotional capacity can be so stretched, pushed and pulled in so many different directions - how do I focus on myself and my family - am I selfish that I want that to be the most important thing? Should I be doing more to make an impact rather than writing a little blog, raising my son to the best of my ability and making sure my husband and I are communicating and loving each other openly. How can I use my experiences to help other people? That is what I ask myself a lot. 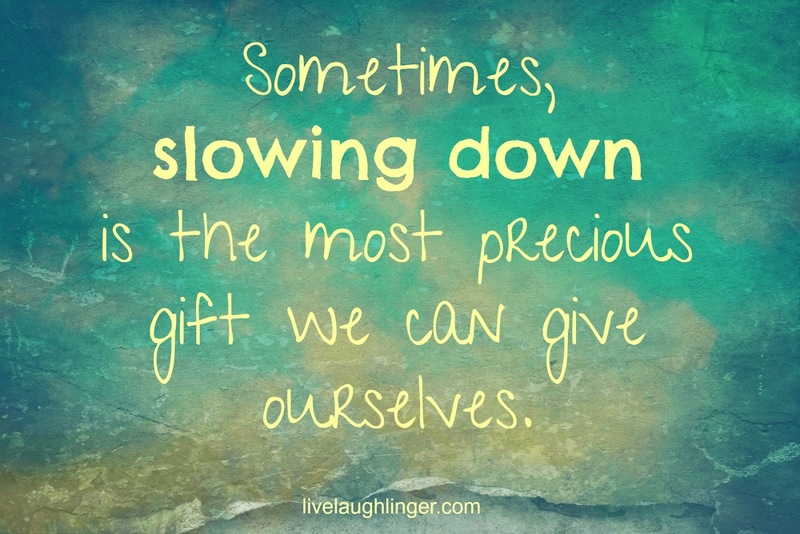 Focussing on my family is a huge priority for me - enjoying slow days, soaking in little moments. Figuring out what this means to me on a bigger scale is something I'm working on - what can I offer to society that can make a difference? That is something I'm working on and will be a goal not just for this year, but every year.